Greetings from a wet and windy autumn morning in Waterford, as I sit here to write the third installment in this series I am doing about 'Stress and Hypnosis'. In the first two parts I talked about the dangers of the silent killer we call 'stress' and I explained 'chronic stress', and the effect it can have on us humans living in the 'all-go' modern world. You should now understand the 'stress response' and the effect it has on our 'physiological system' and our overall state of 'well being'. You might even be able to explain the concept of 'Homeostasis' to your friends and family :) I also discussed different ways that you can being to manage stress, which included empowering yourself by taking responsibility for and taking control of your thoughts and emotions. In this blog post I will be discussing one of the first things I always teach my clients - 'Mindfulness' or sometimes called 'Mindfulness Meditation'. Most people living in the sometimes rat race world we live in are so busy running about that they never take the time to pay attention to their 'breath' or themselves 'in the present moment'. A bit like that gerbil on the wheel, never stopping to take a look around. How many of us are either sad and/or angry about the past or worried and/or anxious about the future? But the truth is all we have is the NOW and mindfulness is the process of living in the NOW, in control of your thoughts and emotions. Once we learn to live in the NOW and enjoy each and every moment, then those moments add up and become our lives. Sadly however, very few of us take the time to pay attention to the moment and the now. How many times do we hear people saying on a Monday morning 'oh I wish is was Friday' .... or months before the event saying 'I wish it was Christmas'. There are times when we can wish our lives away. Since I learned about Mindfulness a few years back, I have been able to absorb each and every moment of my life. No more so than when my daughter Emma was born, I made sure to enjoy each and every moment, as I knew at that I might never have this opportunity to enjoy this again, and I was aware of how fast these moments can pass you by, when you are not paying attention. When we are young, we think we are going to live forever and all that. But two events the last few years have really hit home to me how quickly that can be snatched away. One was when a gentleman suffering from terminal cancer came into see me. The doctors had given him just 6 months to live and by god he really appreciated 'Mindfulness'. He was not going to waste another precious moment of his life. Another event was when a friend of mines partner suddenly died of a brain hemorrhage, her life ending tragically, way too early in her mid thirties. Since that awful heartbreak my friend now tells everyone to be 'mindful' and enjoy each and every moment with your family, because that is what is important. Not worrying about silly everyday stuff like the weather, bills and even what people will think of you. attention to their breath and/or the moment before. We are breathing since the beginning of our lives and we will breathe each and every day until the end of our lives; so our breath really is the essence of our very existence. When my clients lie relaxed in my comfortable hypnotic chair, I bring their attention to their breath, the texture and temperature of their breaths as they breathe in deeply, as well as getting them to notice the gentle rise and fall of their diaphragm and chest as they relax. I even bring their attention to other things in the 'right here-right now' like the sounds of the music, the clock ticking or my voice, or even the feeling of the chair against their back or the floor underneath their feet. 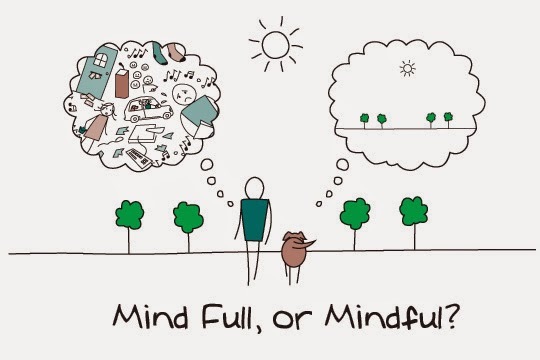 The last part of 'Mindfulness' is training my clients to 'not follow' their breath' but to learn to always easily return their mind to their breath. Just like a fish swims in water - us humans have thoughts - that's what the mind does. But when we have a thought, we have two choices: 1. To attach meaning to it (the old saying 'take it to heart') - in other words to follow your thoughts and ruminate on it. For example if one of my weight control clients has a thought to 'eat a bar of chocolate'; mindfulness teaches them that that was 'Only/Just a Thought' and does NOT mean they need to go to the shop to buy that bar. Instead they learn to 'let that thought come and let it go (the average thought only last for a few seconds), and gently return their focus to their breath and staying in control. The good news is that we always have our breaths, so therefore anyone can learn mindfulness! Sometimes negative or unhealthy thought processes can become cyclical and the more energy (meaning) you give them the more compounded they become. 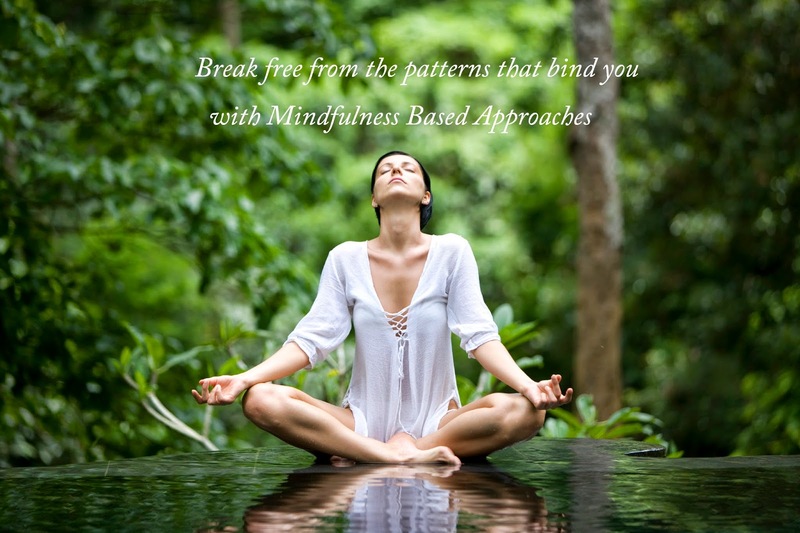 Mindfulness can not only break this pattern, but over time create a new positive and healthy thought pattern. Which as explained in the first two parts of this series, positive thoughts and emotions will have a powerful impact on our bodies health and well being. I hope you have enjoyed the third part of this series. Please join me next time around when I will telling you all about Self-Hypnosis and how you can use it to continue to program your mind and body in so many healthy and beneficial ways. "The greatest weapon against stress is our ability to choose one thought over another"
Welcome to the second part of my blog on Stress and Hypnosis. 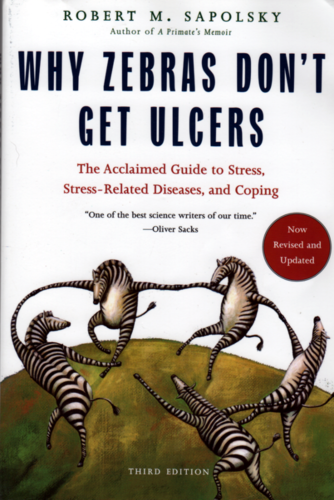 In this blog I am going to discuss the principle of one of my favourite books 'Why Zebras Don't Get Ulcers' (The Acclaimed Guide To Stress, Stress-Related Diseases, and coping') by Robert Sapolsky. This will give you an understanding of stress. In the 2nd part of the blog I will be showing you what you can do about it. 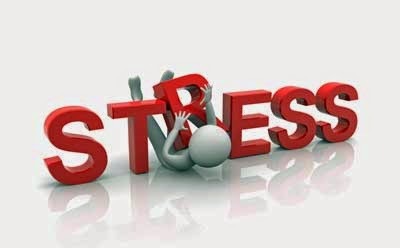 A large body of evidence suggests that stress related disease emerges out of the fact that we over activate our 'physiological system' that was meant to function and respond to 'acute physical emergencies', rather than worrying about mortgages, relationships, promotions, etc. In the 1930s scientist Hans Salye observed that his lab test rats had peptic ulcers, enlarged adrenal glands and shrunken immune tissues, caused by, he found out, by just chasing the rats in order to inject them. He basically discovered that if stressors go on too long they can make you sick, or at least have the potential to do so.1 The stress response (the 'flight or fight response' described in part 1 of this series) is activated, not only in response to emergencies but in expectation of them. In other words constant worrying and ruminating over ones problems = Chronic Stress. It is also important to understand the concept of 'Homeostasis' - the idea that the body has an ideal level of oxygen, acidity and temperature that it needs; and when something in the outside world (a 'Stressor') knocks you out of that homeostatic balance, the stress response is what your body does to reestablish that 'homeostatic balance'. Activated long term, the 'stress response' can be more damaging than the stressor itself and lead to the stress related diseases and complaints (described in part one of this blog series). Okay so this is all very interesting I hear you ask, but what can I do about it? The answer is lots! Equipped with the proper knowledge and tools, you can cope with and manage both the 'Stressors' and your 'Stress Response'. 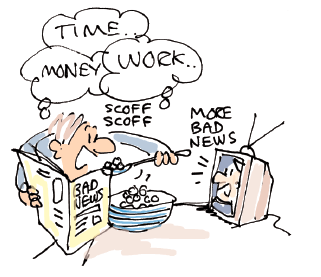 Most people are struggling in their lives because they are so focused on the 'effect' and as a result they continue to place responsibility outside themselves, instead of taking responsibility for their thoughts, emotions and behaviours as the actual cause. You can reclaim responsibility for your life and once you take ownership of the fact that you are responsible for where you are now and where you go from here. This change of mindset is highly empowering because then you know you can create a new effect, that can take your life in a positive direction. If you really want to change, the mere act of booking my hypnosis program will do wonders. This is because the change has become important enough to you that you are already half way there! 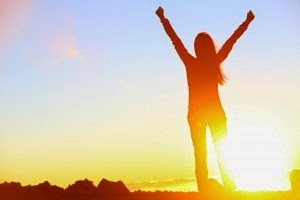 You have taken responsibility for your success! It is important to find ways to view even the most stressful of situations as holding the promise of improvement. Stand back from your problems and see the bigger picture. We all can make mountains out of molehills. A change of perspective can make a big difference, and hypnosis is a great tool to help one change perspective. Hypnosis can provide a platform for that change of perspective. People who cope with stress successfully tend to seek control when it comes to current stressors, but do not try to control future events that are uncontrollable and do not try to fix things that are not broken, or control things that have already some to pass. They can do this by controlling their thoughts and emotions. Hypnosis will communicate the subconscious mind which can help to create new neural pathways to positive states and feelings of being calm, relaxed and in control, all of which will help you to cope and manage each and every 'stressor' in your life. I hope you have enjoyed this blog and have learned a little more about Stress and Stress Management. Please join me next time for my part 3 of my series on Stress and Hypnosis when I will be going into detail of the different techniques, such as a 'Simple Breathing Exercise', 'Mindfulness', 'Self Hypnosis' and 'Anchoring', that I use as part of my hypnotherapy program, to put YOU in control of not only your 'Stressors', but your 'Stress Response'.